Remember to keep Inferior MI on your differential for hypotension. Helpful diagnostic criteria to remember include aVL inversion is a sensitive marker of inferior ischemia and 7.5% of inferior MIs will show aVL inversion as only sign early on. Drinking from the fire-hose: A study shows EPs followed and recorded failed to return to 18% of the tasks that they were interrupted from. The SRU gets chaotic and the management of multiple critically ill patients at the same time is challenging. Despite the chaos, an individualized, systematic approach of reviewing patient status and data is necessary. MR CLEAN was the first RCT showing positivity in 233 IA patients vs 267 'standard care' patients, 89% of all got tPA. Important things to remember were they were selected patients with good baseline functionality and confirmed ICA, M1, M2, A1, A2 occlusion by CTA. There were no age limitations and broad NIHSS of anything >2 (median 18). 33% vs 19% functionality at 90 days. This was followed by EXTEND-IA, ESCAPE, SWIFT PRIME, REVASCAT, THRACE, THERAPY which were stopped for midterm analysis and showed similar efficacy. Hemiparesis, asymmetric hypertonia and hyper-reflexia can all represent presentations of posterior ischemia. AMS + any ocular findings=posterior circulation stroke until proven otherwise. Have a low threshold for vascular imaging in these patients, 2 studies have showed CTA without knowing renal status is very unlikely to precipitate CIN and neither reported inducing ESRD. Despite the millions of times you will do this it is important to remember your basic tenants of courtesy when communicating over the phone: "Hi, this is Dr. EM calling from the ED," is a good place to start. Every time. Clarify with whom you are speaking (no one from Urology likes hearing about stroke symptoms intended for Neurology) and then state the purpose of your call again up front: this is a consult/courtesy call/curbside. Don't throw a weak pitch. Your consultants need to be as concerned as you are about your patient. Build your case via pertinent info from the H and P, labs and studies and come to the phone prepared and knowing what you need and what you are asking of your consultants. All consulting services are not created equally. Know to whom you're talking, what information they want and need, and how they want it delivered. Repeat visit? As always, these are hard stops. Always take the time to re-think these patients. What could we be missing? Should we do the "next best test" which may or may not be indicated though worth taking the time to consider. The case: Teenage male, MSM, otherwise healthy presents with sore throat and lip swelling x 2 months with inability to swallow solid food and a feeling that his throat is closing up. The lip swelling has been becoming increasingly painful and more swollen. Physical examination reveals normal vital signs and a benign exam other than an 8mm-in-diameter, superficial ulceration of the upper lip that is not tender or draining as well as significantly hypertrophic tonsils without sign of abscess. He also has bilateral anterior cervical chain lymphadenopathy. CT of the neck: "diffuse soft tissue swelling that impinges on the airway; infectious vs malignancy are on the differential--correlate clinically." Question: Aside from the patient, who cares? Answer: Cincinnati. Syphilis is here, increasing in incidence, and does not appear to be going away. At present Cincinnati is at epidemic status. Treatment: These Troponema Pallidum spirochetes are highly sensitive to penicillin G (2.4 million units IM) with primary, secondary, and early latent syphilis-- as a single dose. Late latent--dose once per week x 3 weeks. There continue to be a number of exciting avenues for our EM residents to explore within the sub-discipline of Global EM and the list of accomplishments abroad in the last year alone by our residents is impressive. 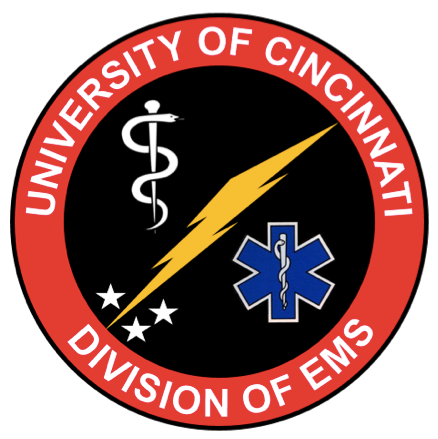 If you have a particular interest in Global EM as a UCEM resident, please reach out to Dr. Winston-Bush or Dr. Wright.